What Killed Elvis? Elvis Cause of Death? Elvis Presley Cause of Death – What Killed Elvis? People develop eating disorders for a variety of reasons. For some people (3) controlling their eating is the only way that they can feel in control of their lives generally. People may be more prone to developing an eating disorder, perhaps due to a personality trait or a (4) lack of security in childhood. It is now known fact the Elvis died as a result of drug addiction by self medicating on prescription drugs and very bad eating habits. Being Elvis the icon to millions had finally caught up with the man from humble beginnings – however would Elvis be alive today had he entered Drug Rehab program? Dichotomous thinking -Trying to be Elvis the icon to millions of fans and on the other hand trying to be an ordinary son to his father Vernon, a husband to Priscilla and loving father to Lisa Marie could pose the duality of being everything to everyone. 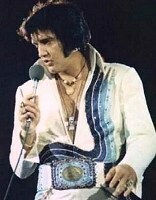 Perfectionism – So much was expected of Elvis. With every word, every move, every song, every movie was dissected by the press and the public. For Elvis the stress to achieve perfection must lay heavy on his heart. However, his beautiful voice which he attributed as “A gift from the Lord” never failed him or his adoring public. Controlling their eating is the only way that they can feel in control With the every demanding Col Tom Parker and Hollywood studio moguls controlling Elvis’ creative spirit and ambitions to become an actor like his screen hero James Dean, Elvis had fallen into the trap of believing that these people knew what was best for him. However, by the end of the 1960’s Elvis himself often mentioned that he had no choice in movie scripts or the music soundtracks he was forced to do to make a living. Lamar Fike: Because I lived at Graceland I saw a lot more than the other guys. Elvis got his first uppers from what he stole from his mother. Gladys was given Dexedrine to help her with her “change of life” problems. Elvis would swipe them and never let her know. Elvis loved any pills. Once I saw him open a box of Bayer aspiring and chew the whole damn bottle. Elvis thought that pills were the answer to everything. 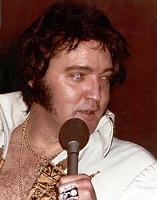 Marty Lacker: Six days after the divorce, Elvis ended up at the Baptist Hospital. At the time they said it was for recurring pneumonia and pleurisy but he was really in there for detox. Elvis stayed for only two weeks. Billy Smith: Had Elvis been my son I would had one knockdown, drag-out to get him into rehab. Today it’s so different. Performers admit proudly that they have entered a rehab center and don’t lose any fans. Performers with drug addictions that admit themselves into drug rehab center are looked upon as role models… as if to say, “if I can do it so can you” How I wish that was true in the 70’s during Elvis time.